Polvo were always the masters of the unexpected. There is not one genre to place them in. No other band sounds like them and they never move backwards. Their albums always continue to surprise. Weird musicians being weird can be entertaining, but it’s rare to find a band this weird and passionate about their songs. They write songs that hold a perfect balance of unpredictability and emotion. 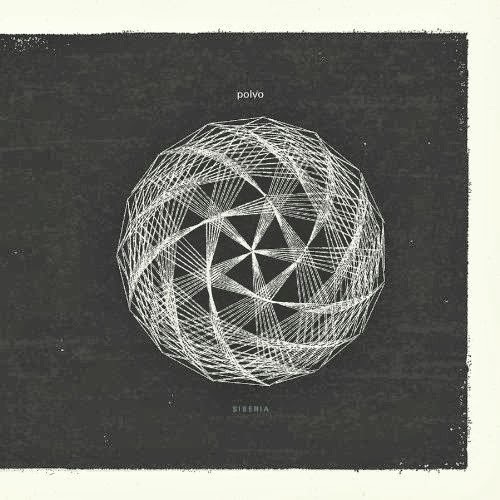 Siberia is their second album since their hiatus and a better and more focused record than the previous- In Prisms. A band this cerebral would take a record or two to get back in the swing of things. These tracks are smoother, the overall vibe of the album is concise and the vocal melodies are some of the best of their career. It opens with “Total Immersion”, a song reminiscent of the Celebrate the New Dark Age record. They are in top form with zany dueling guitar riffs, wild drum patterns, and innovative melodies. Ash Bowie and Dave Brylawski sound the same. Their voices haven’t changed much over the years. This is one of their darker records, although there are some catchy melodies throughout, but the underlying vibe is a heavy dark tone. “Blues is Loss” continues with the signature Polvo sound of the 90’s, very progressive, much like the critically acclaimed Exploded Drawing. This is a whole different kind of prog than Rush or Yes, and they’re not exactly like their detuned peers Sonic Youth, who they have been compared to in the past. The band seems to be in their own world musically. One can argue that the music isn’t influenced by anything at all. It’s hard to pick out any specific influences or similarities. So why is this better than the last Polvo record? The next song is one example. “Light, Raking” begins with a John Bonham type hard hitting groove that leads into a new wave synth chorus that’s the catchiest song the band’s ever released. But the fact that it’s poppy does not stop them from tripping you out with other-worldly sound effects and complex compositions. None of these songs have simple song structures. It makes you wonder how long do they actually take to write this music. Does it come quick to them? Do they spend years? Bottom line, they have honed in on a sound that only they can execute. The highlight of the album for me, is an acoustic track- “Old Maps”. They are not known for recording much with acoustic guitars, but this song is so unique sounding, I’d love to hear acoustic renditions of all their songs. There are some interesting time signature changes with cymbal washes and chimes rolling over the music. It really does sound like they spent more time on this album than the last, or perhaps they had to bang In Prisms out to get their full-on mojo back. In summation, this is one the best Polvo albums in their discography. It will grow in your brain the more times you listen, and it will thrive and get better every listen. Making boring music is not something this band does, whether you get it or not. And if you’ve never heard Polvo, open your mind and see what’s intriguing about them. The reward is worth the curiosity of time invested. And like other bands of this breed of pioneers, a new Polvo album will make you want to go back and revisit their other records in a new light. Perhaps someday, they will achieve the notoriety they deserve in the mainstream. Till the rest of the world catches up, they remain a cult band for listeners with elite record collections and exquisite taste. Great review! Polvo is untouchable. I wish they would make a new album with one take renditions of some old songs. I love the way they play Leaf live. Oh, and Enemy Insects, I would love a live in studio album, with an emphasis on the guitars.